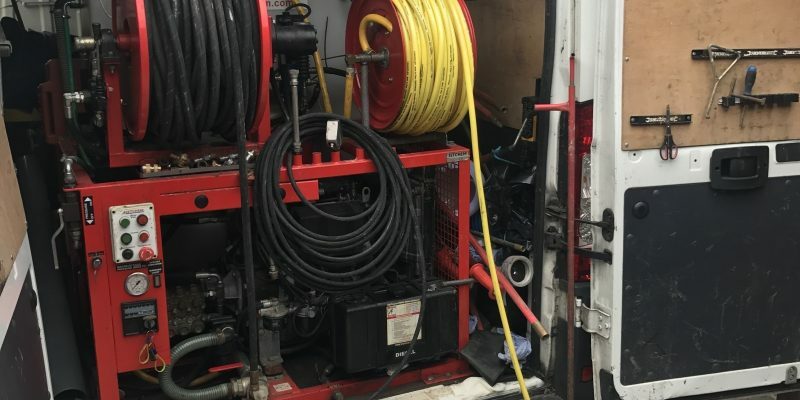 High pressure water jetting to some people can seem daunting. But here at Drainage Plus its something we carry out every single day. So what is High-Pressure Water Jetting some people may ask? Well, High-Pressure Water Jetting is where a large amount of water is pumped through a hose up to 3000psi. This high pressure when put through your drainage system can descale, clean and unblock your drainage. Previously, no more than 10 years ago, drain rods were used to clear blockages. 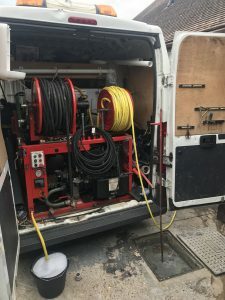 When using drain rods a number of problems can occur such as compacting the blockage, pushing the drainage blockage further down the pipe, and in some cases getting the drain rods stuck which can result in having to excavate to get the drain rods back. With High Pressure Water Jetting it is a fast & effective way to clean and unblock drainage systems. Should your drain have fat buildup then the 3000psi high pressure water jetting system can clear through, break up and wash away the years of buildup within minutes. High pressure water jetting restores your dirty drainage system back to its original condition and can have it looking brand new. 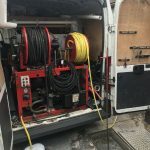 We recommend high pressure water jetting to descale pipework, unblock blocked drains & fat removal. With our unique system, we can even cut out tree roots! 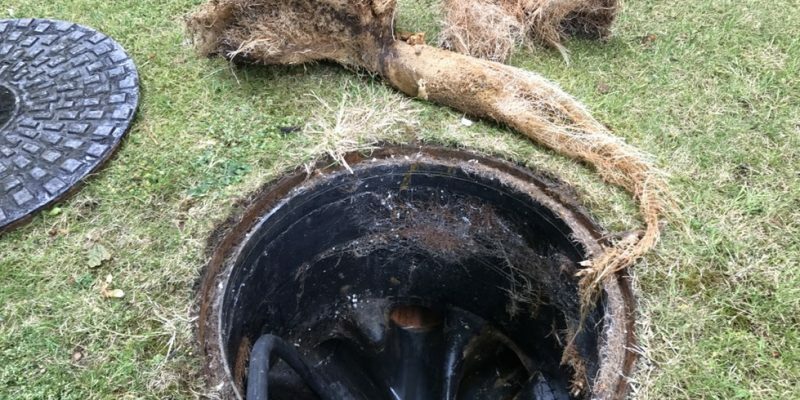 Very often tree roots gain access into the drainage system from nearby trees & bushes. These roots can cause issues because they slow down any waste resulting in blockages. In some cases, the roots can be so severe that they block the system up completely. 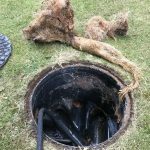 We can use High Pressure Water Jetting to remove tree roots and open up your drainage system to ensure full flow is achieved. 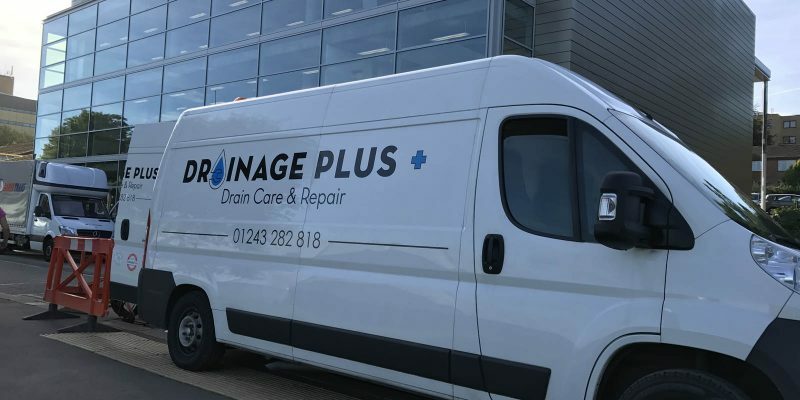 Should you ever have any drainage issues then contact one of our experts and we can recommend the correct method to get your drainage system back up and running! Watch a drain unblocking carried out in Camberley. 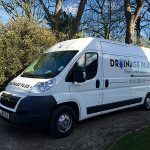 Drain Blockages can be a pain at the worst of times, Drainage Plus carry out day to day drain unblocking across West Sussex, Surrey & Hampshire. 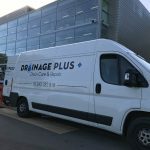 Drainage Plus can be your go to guys for any Drain Repair, Toilet Blockage or Drain Cleaning service. Drainage problems can strike at the most inappropriate time. A blockage in the drain will mean that you have a flooded wash basin, sink or bathroom. Water easily flows through drainage system where there is no resistance, but the moment there are blockages in the drainage system, water will not flow. A blocked drain is also extremely unhygienic and can pose a threat to the health. 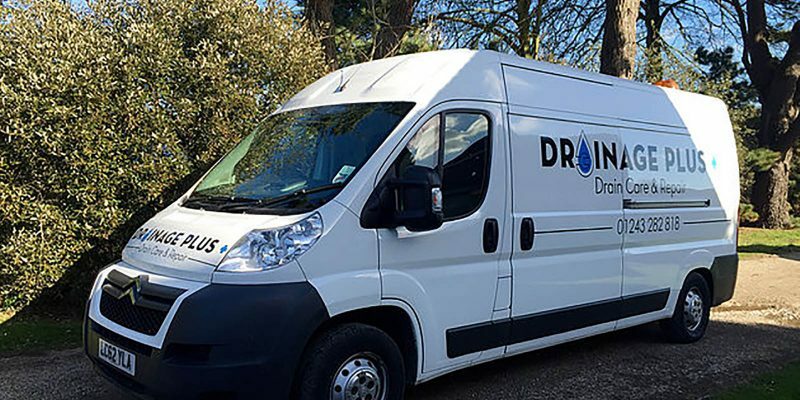 Drainage plus is a local family run company who specialise in Drain Unblocking and Drain Repair. We have no Call-Out charge across West Sussex, Surrey & Hampshire and offer Free CCTV Inspections with any clearance. We're available to help you 24 hours a day,	seven days a week. Website built by Tom Haddad. Copyright © 2017 Drainage Plus. All rights reserved.